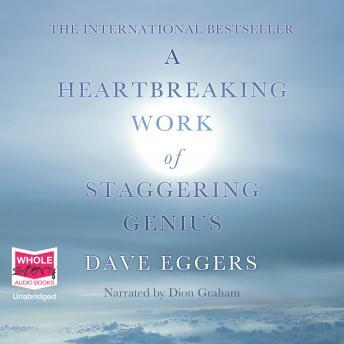 At the age of 22, David Eggers became both an orphan and a 'single mother' when his parents died within five months of one another of unrelated cancers. David is appointed unofficial guardian of his eight-year-old brother, Christopher. The two live together in semi-squalor, decaying food and sports equipment scattered about, while Eggers worries obsessively about child-welfare authorities, molesting babysitters and his own health.